You’ve shelled out hundreds for a top of the line microphone and USB mixer to launch your vocalist career. You’re bursting with excitement, until you plug it in and notice you can barely hear yourself. What you didn’t realize was that to drive your fancy new hardware, you’re going to need a mic preamp. Filmtoolkit has put together the definitive list of the best microphone preamps to make sure you get the best preamp for the money. If you’re a filmmaker or other video content creator, this is likely not your area of expertise, so we’re going to try our best to make the choices easy to understand. 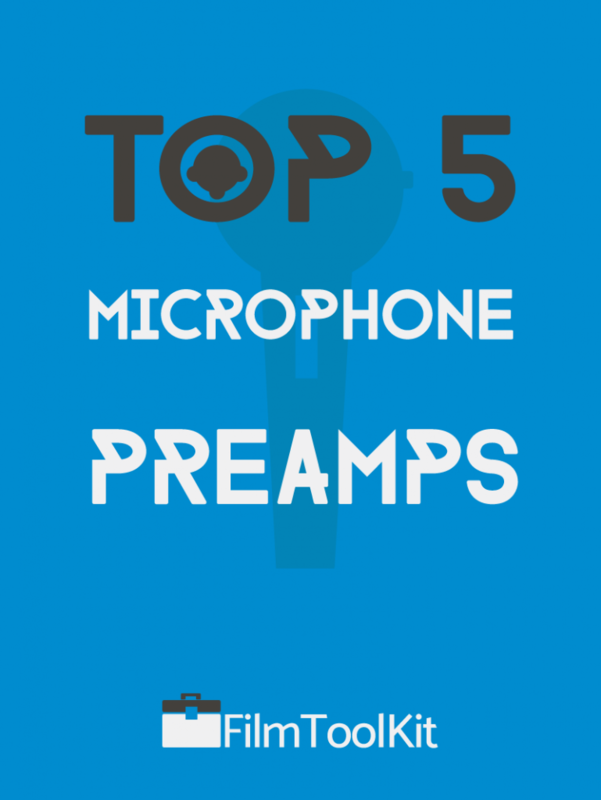 We’re going to be recommending 5 different mic preamps that are the best in their class for suiting different needs. 1 Why Should You Buy A Microphone Preamp? Why Should You Buy A Microphone Preamp? You might not actually be aware of why you need a preamp in the first place! Here’s the rundown as to why you need one. Increased clean gain – Audio interface and built in preamps provide some gain, but some times it’s not enough. Dynamic microphones like ribbon mics can require much more gain to drive them, so you’ll need a proper microphone preamp to use them to their fullest potential. Increased transparency – Cheaper audio interfaces or microphones with built in preamps can have lower quality circuits, and higher amounts of noise at higher decibel levels. High quality preamps can ensure you have full audio transparency, even when the gain is cranked all the way up. Sound coloration – Some preamps have circuitry and tubes that give your sound a certain sound character. If you’re looking for a vintage or retro recording aesthetic, this is the only way to really get it. They can save you time on editing – Many preamps have features like De-essers, EQ, or high pass filters. This means you can record your audio the way you want it to sound without having to deal with making a bunch of changes in post. In addition, fixing these issues before the sound is recorded instead of after will give you a much better finished product. Let’s get right into the picks. We’ve assembled a few options depending on what your budget is and how many channels and features you need! If you’re looking to find the best microphone preamp, you only need one channel, and money isn’t an issue for you, you should look no further than the Grace Design M101. This is professional grade hardware at a consumer grade price, and is an easy recommendation for anyone looking to lay down some serious cash on their home studio. It looks really sleek, is built like a tank, and will seriously blow your socks off. The M101 provides anywhere between 10 and 75 decibels of gain, more than enough for practically any microphone in absolutely any recording scenario. The gain is ridiculously clean, and has practically no color and zero noise. This will give your microphone the fidelity it needs to record foley work and record samples for instruments, as well as any other tasks that require next to no noise. While high end gear typically skimps on the features to deliver the best sound possible, the M101 is a rare exception in that it manages to do both. It features a high pass filter switch to clean up the muddiness, and even a ribbon microphone mode, disabling phantom power and bypassing several hardware components in order to protect ultra-delicate ribbon microphones. It even features a Hi-Z input if you’re going to be doing recordings with instruments! In addition to that, you’ll have a balanced TRS and unbalanced TS 1/4″ output in addition to the standard XLR in and out. The dead quiet power supply is noteworthy as well, accepting voltages from anywhere between 100 and 240 VAC. This preamp will ensure you get the most out of your high-end audio gear, and will make even $100 microphones shine in a way you probably didn’t think possible. This is an easy recommendation, and at its price range, this preamp has by far the best value and quality you can find in a single channel preamp. The Grace Design M101 is awesome, but most hobbyists, YouTubers and indie filmmakers are not trying to spend almost $800 on the best preamp ever. So what’s the best single channel preamp you can get on a budget? The reviews are some of the strongest we’ve ever seen – customers across the board are very satisfied. Podcasters, filmmakers and vocalists alike have all praised it’s ability to properly mix your sound as you record it. We believe that for what you get, the dbx 286s is the best value on the market due to how many features it’s packed with. You’re getting 60 decibels of ultra clean gain to make your microphone shine, but this product is a solid choice for so many other reasons. It has a tunable De-esser to reduce high frequency distortion, a high pass filter to remove low frequency hum, an awesome hardware compressor, and high/low frequency control to remove the muddy low end and add depth to your vocal recordings. All of this is topped off with two separate knobs to control the threshold and ratio on the expander/gate. Depending on your knowledge level, all those features may sound like a bunch of nonsense to you. Here’s the gist. This preamp gives you everything you need to make your recording sound exactly the way you want it to. Mess with the knobs enough and you’ll be able to eliminate almost all of the imperfections of your recording environment, and give your microphone a quality it has never had before. In terms of the body, the dbx 286s fits perfectly in any rack mount configuration, and includes all the screws and washers you would need. It features an XLR and two 1/4″ TRS inputs, with a single 1/4″ TRS output. This is a must-buy for those on a budget looking for a single-channel solution. Note: We noticed several reviewers state that the stock tubes included with the preamp leave something to be desired. Many have said that purchasing higher quality tubes resulted in a huge increase in performance for a negligible cost. Consider buying some with it if you go with this option. The ART ProMPAII is a very strong, well priced 2-channel tube microphone preamp that outshines just about anyone else at the same price point. Because of it’s budget pricing and high quality, we think that this is probably the most appropriate choice for the majority of the people who are reading this article. It has received very strong reviews, and impressed us as well. The ProMPAII completely crushes the competition when it comes to reviews. Customers have been blown away by the quality in relation to the price point. The total harmonic distortion is extremely low, and the frequency response covers anything you could ever hear. While you might find some distortion at higher levels, lower gain levels have extremely low noise, rivaling preamps at much higher prices. To a lesser degree than our previous recommendation, this preamp has a few circuits to allow you to tune your recording exactly the way you want it. In addition to impedance and gain control, each channel has a low cut filter in order to clean up the muddiness. In terms of I/O, you’ll have two High Z instrument ports, Balanced XLR input, as well as XLR and TRS 1/4″ output for both ports. Nothing too special in this regard, but more than enough for just about anyone at this budget range. Finally, the build quality is very impressive with a color LED display, and gorgeous meters that bring a retro aesthetic to the preamp. The chassis is very solid, and reports have shown that this thing isn’t going to crap out on you any time soon. Note: Professional grade 8 channel preamps can be ridiculously expensive. If you’re looking for a really solid expensive 8 channel preamp, we recommend the True Systems Precision 8. It’s almost $3000, and that’s still one of the cheapest ones on the market. We’re not going to bother reviewing it because we don’t think that price range suits our audience, but we have consulted with enough sources and reviews to feel good about recommending it. On the other hand, the Art Tube Opto 8 is a very strong consumer grade tube preamp at a reasonable price. Having 8 channels can be necessary for some creators who are looking to record a whole band, or an array of different microphones for surround sound or podcasts. This product is the best way to get your microphones sounding great while spending as little money as possible. As most of the costs are going towards having 8 tube preamps, you should expect features to be on the lighter side. However, you may still be pleasantly surprised! Each preamp includes knobs for a high-pass filter, a phase switch, an input pad, and output control! 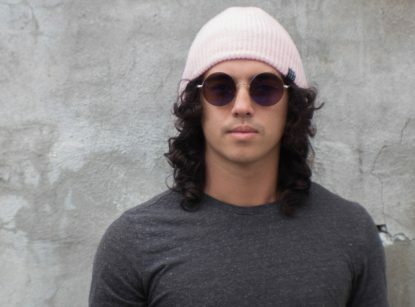 up to 70dB of clean gain are provided for even the quietest microphones, and reviewers have been very impressed with the transparency of the sound. If you’re working with a preexisting audio interface, The ADAT lightpipe capabilities will allow you to easily hook up all 8 channels directly. It even has a worldclock connector to harmonize all of the digital gear you are planning on using. In terms of I/O, you’re getting 8 balanced TRS 1/4″ outputs, along with 8 balanced inputs and XLR ports. And of course, as you can tell by the picture, the Opto 8 fits right in to any rackmount setup perfectly. If you’re a small-time content creator who needs something simple to boost their gain, or if you just can’t be bothered to learn all the idiosyncrasies of preamps, the Cloudlifter is the perfect product for you. It only has one XLR port in and out, and doesn’t have any additional features or channel strips. The Cloud Cloudlifter CL-1 uses your phantom power to give passive dynamic and ribbon microphones up to 25 decibels of clean gain without passing the phantom power on to the mic. This gain is definitely on the lower end of the spectrum, but when combined with a proper USB audio interface’s preamps, it will be enough. If you’re using a high end dynamic mic like the Shure SM-7b, using a device like this one is the cheapest and easiest way to properly drive your mic. Typically retailing for around $150, you’re saving hundreds if all you’re looking for is a little bit clean gain. It’s even enough to make some cheap microphones sound much more expensive than they are. It’s built like a tank, stays completely transparent and doesn’t color your sound, and is the best choice if you have come to this page barely knowing what a preamplifier is. Note: If this product fits the bill for you but you need two ports for multiple microphones or stereo recording, check out the Cloud CL-2. Here’s a breakdown of all the different factors you should take into consideration when trying to decide which preamp is right for you. Remember, serious audio engineers own multiple preamps, as each can have different niche uses and applications. You’re going to have a few choices for what shape of Preamp you can choose. As you probably know, audio equipment has standardized racks and systems, allowing them to conveniently fit perfectly in your workstation. This is largely personal preference and will depend on the gear you have already. If you have a Rackmount system, you’ll want a Rackmount preamp, and the same goes for 500 series module interfaces. Also available are preamps designed for the desktop. These are typically geared towards consumer grade users dealing with less equipment. If you only have a microphone, preamp and interface, the easiest way to access it will be right by your computer, on your desk. When it comes to microphone Preamps, there’s going to be three different types you’ll encounter. Tube – Tube Preamps use vacuum tubes to amplify the signal. These are regarded to sound a bit warmer. This means an increase in deep bass and an open high end. These are a bit more expensive, and you may find yourself needing to replace the tubes in the future. Solid State – Solid State preamps use solid state transistors and diodes to amplify the signal. These can still sound great, and are sturdier and more reliable. They’re capable of handling much higher gain levels without distorting, but when they do distort, the distortion will be more severe. Hybrid – Hybrid preamps contain a combination of both. They are capable of striking a middle balance between the two options. Input and output necessities are more than just a matter of quantity. All preamps will have at least one microphone input and one line output, but depending on your needs, you might be looking for something more than that. Some preamps will feature High impedance direct inputs intended for recording electronic instruments directly – a great feature if you’re going to be primarily recording instruments. Others may feature multiple outputs, including 1/4″ TRS, XLRs, Firewire, USB, or other digital connectors allowing them to be more compatible with your workflow. Try your best to pick a piece that will fit perfectly in your already-arranged puzzle. Some preamps are also packed with plenty of useful features that could be helpful to you in your audio journey. Here’s the rundown of a few of them. Low Cut – While some mics have built in Low-cut features, many preamps include something like this as an added bonus. Low cut functions cut out the muddy low end and clean up your instrument and vocal tracks. This makes for a cleaner sound overall. Dual Channel Stereo – Some preamps will let you adjust two channels with one knob in stereo mode. This is perfect for podcasts or other scenarios where you will be recording with two mics simultaneously. Transformers – No, not like the robots. Transformers can add a unique signature color to your sound, and may vary from preamp to preamp. If you want the most transparent experience, go transformerless. Multiple Channels – While single and dual channel preamps might get the job done for you, having more channels is always better. Especially if you’re looking to expand your home studio in the future. Channel Strips – Channel strips are boxes that include preamps and other signal processors in one package. These can include compressors, EQs, de-essers and anything else you need to manipulate your sound. These are great for those looking for a simple workflow, especially if you’re only using your preamp for a single purpose.